I've been on a roll lately with 1950's Automatics, so why stop now? 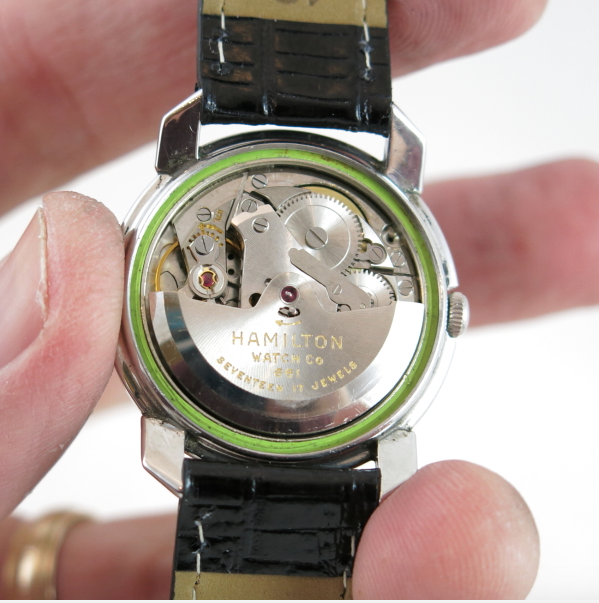 In 1955 Hamilton added 7 more models to the automatic lineup, including a couple of 18K models in the line K-100 line. 14K models were in the K-200. 10K models are 300 and gold filled are 400 series models. 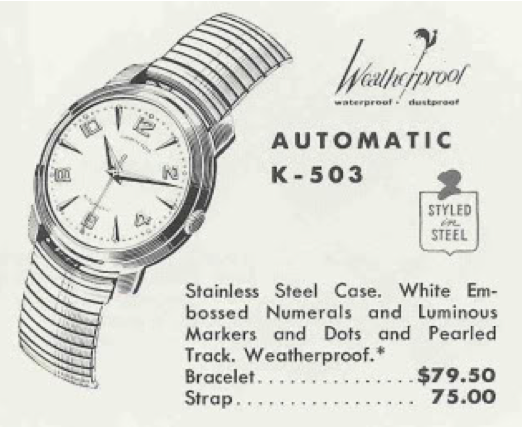 Stainless steel models were given names in the 500 series. 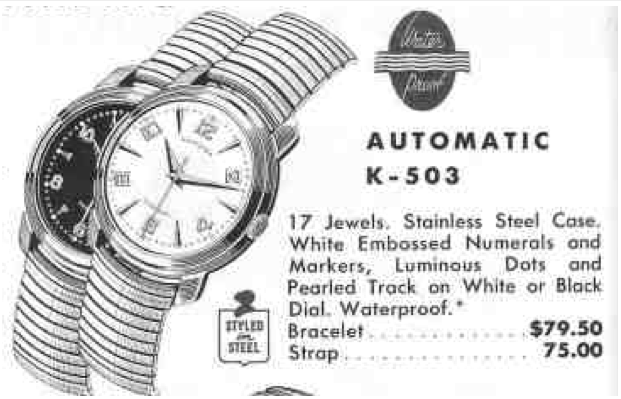 One of the 1955 introductions was the Automatic K-503. It was produced for a long time (at least by Hamilton standards) - all the way until 1960. 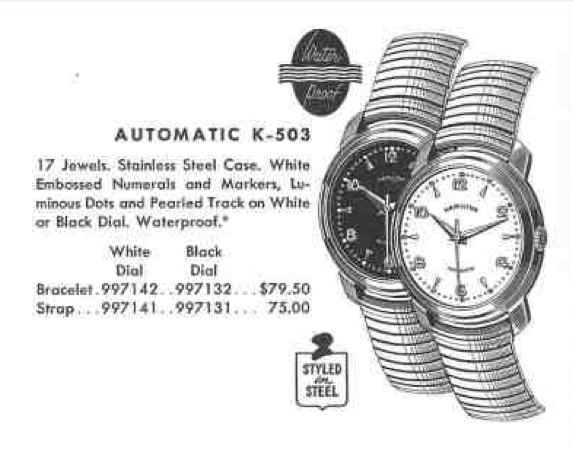 There are no serial numbers inside the watches to date the year a K-503 was produced, but slight changes to the dials occurred over the years so you could actually collect four different varieties of K-503. 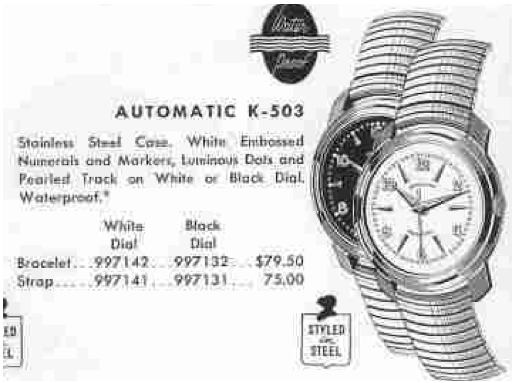 In the 1956 catalog there were black and white versions of the K-503. In 1955, only the white version was available. Note the direction and size of the triangular hour markers, they both point outward but the black version's are smaller. In 1957 there were still black and white dials but the hour markers changed slightly. In 1958 the white dial changed back into larger hour markers, but the direction was changed to inward. Plus the shape of the numbers changed as well as their orientation around the dial. And in 1960, only the white dialed version was available. Who'd have thought that one model could have so many subtle changes to the dial? 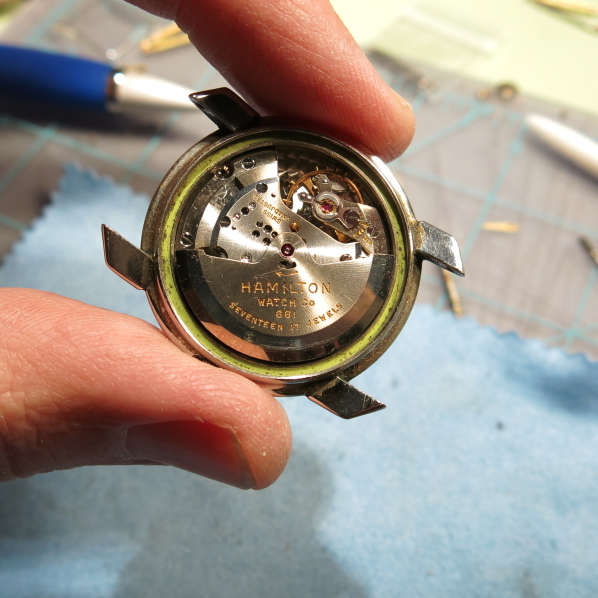 Behind the dials you'll find Hamilton's 661 movement. It was used predominantly in the K-series watches. When the Accumatics, Thino-matics, Kinematics and Rotomatics were introduced, so were new movements. I recently picked up a nice black dialed K-503 so it's probably from the 1956 - 1959 period. I almost bought a white dialed version too - but the dial was different and I (wrongly) thought it was a franken so I passed on it. I know better now - and so do you. My black-dialed version is definitely in need of a new crystal and an overhaul. 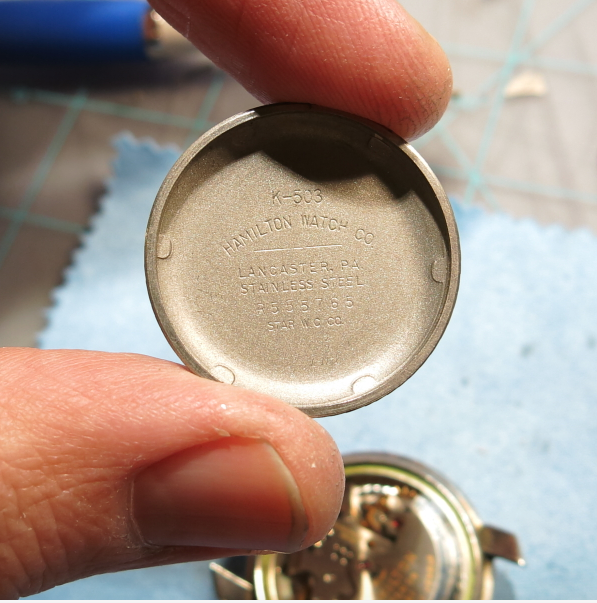 The screw-off case back is clearly marked K-503. The 661 movement is fairly clean looking but I don't know it's history so I'll make sure it's got fresh oil by giving it an overhaul. Pretty good time keeping fresh out of the gate. 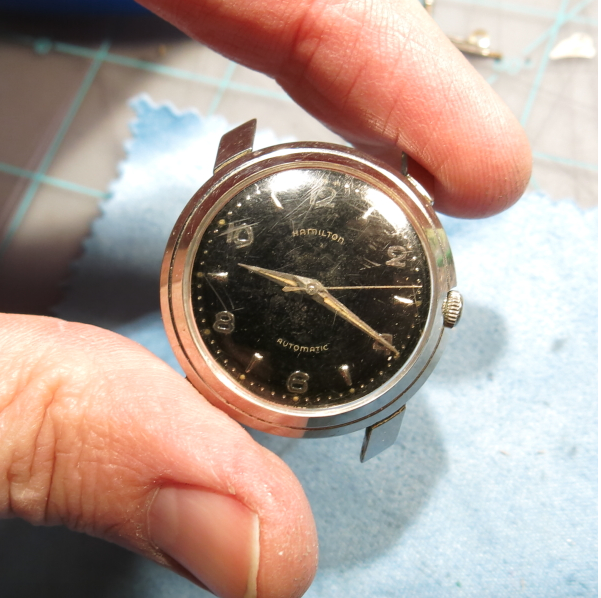 Vintage watches can often keep excellent time but I think a range of +/- 30 seconds per day is a well running watch. +/- 1 minute per day is fair too - beyond that a little tweaking or an overhaul is probably warranted. Here's the movement all cleaned up. I find the difference between a cleaned movement and a dirty movement to be visually very satisfying. When it runs as well as it looks, it doesn't get better than that! And here it is all polished up with a new crystal, new strap and fresh lume applied to the hands and the dial hour markers. The K-503 is a great looking watch and I can see why it was produced for 6 years. Here's a 1957 white dialed K-503 I restored, a sibling to the black dialed version above. 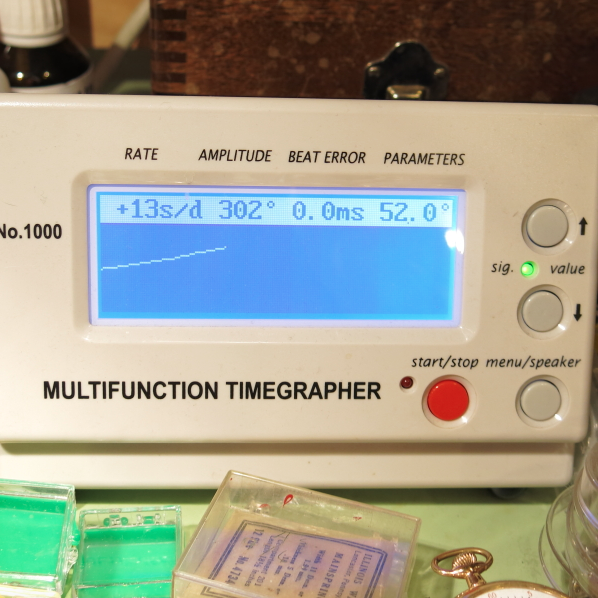 ... and after a thorough cleaning, resuming the hands and dial, a new crystal and a nice lizard grain strap. Hi I just bought a watch that has a k-503 case, but the I am having trouble matching up the dial. The dial looks like one from a k-450 i.e. Numbers at only 12,3,6 and 9 with a font to match. 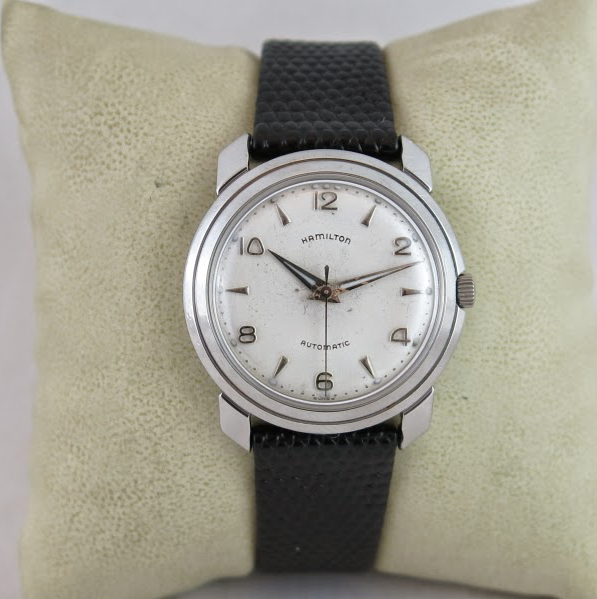 Is it possible that this is an original watch or a matched up movement/dial and case? I can send pics if you like. 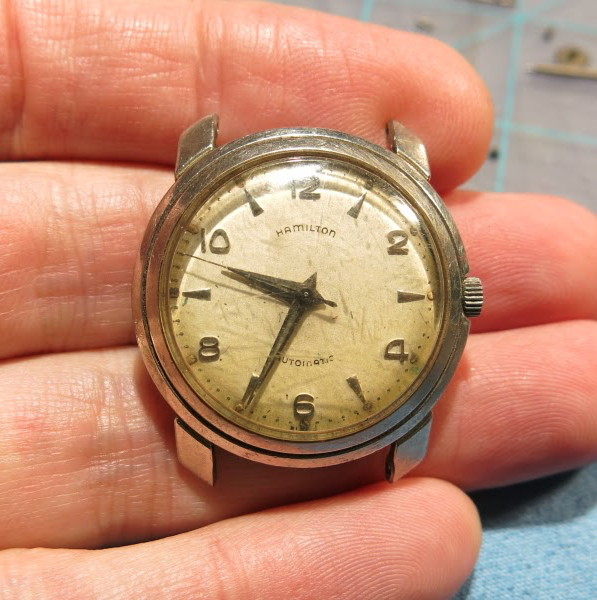 If the dial has yellow hands and figures and the case is stainless steel then it's not likely to be original iand s more probably a later assembly. 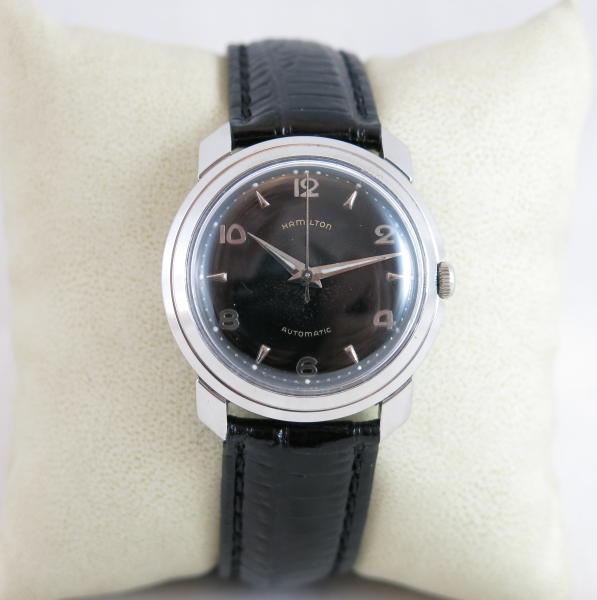 It has the same dial as the k-501 with original bracelet you restored that came in the box with the courduroy padding. It has silver numbers like that one. If the dial has silver colored figures and hands then maybe it was originally setup like that. Stranger things have happened but it could be an awards division watch or something special ordered. Who knows? Great, Thank You for you time!